The NHL is notorious for having many of the most unbreakable records in sports. This is due somewhat to the evolving rules, speed, and athleticism of the game, and in no small part due to the outrageous career of “The Great One,” Wayne Gretzky. All told, Gretzky has 23 records that are considered “unbreakable,” meaning that opportunities to collect career records in the NHL are few and far between. And yet, record-breaking moments are iconic sports memories across generations. So while some of the more iconic records—like goals, assists, and points—are safely in Gretzky’s immortal hands, we shouldn’t overlook others just because they’re less discussed. Here’s a look at five NHL records that may well be broken in the next few years. Barring significant injury, this is a record that will be broken before the end of Alex Ovechkin’s career. The most prolific power-play threat of the modern age, Ovechkin currently stands 10th on the list of regular-season power-play goals scored. But that’s just 44 goals behind the all-time leader, Dave Andreychuk. Considering that Ovechkin has averaged 20 power-play goals per season over the last five years, there’s little question that the 33-year-old Russian will easily break Andreychuk’s record as long as he stays healthy. 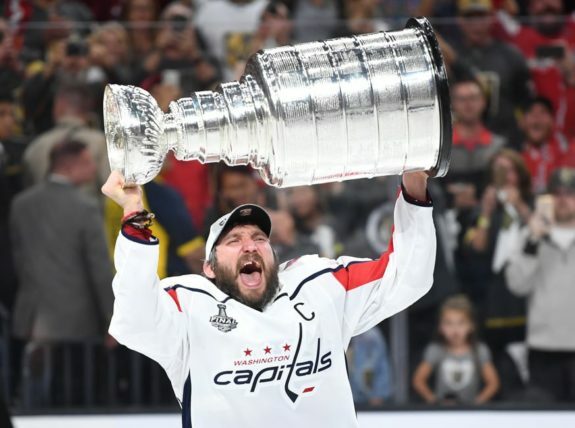 It might not quite be Gretzky’s 894 goals, and it might not taste quite as sweet as lifting the Stanley Cup, but it will be another significant feather in the cap (no pun intended) of one of the greatest scorers in hockey history. While we’re on the topic of goals, two current players have a shot at the career lead for game-winning goals, both of whom appear elsewhere on this list. This record is a little less certain, given that each has a 30-plus goal gap to make up (32 for Marleau, 33 for Ovechkin). Moreover, game-winning goals are a bit more unpredictable than something like power-play goals. With that said, Ovechkin in particular could add this record to his resume as well. If he plays through his age-38 season (a conservative estimate) he’d need to average just five and a half game-winning goals per season to break the record, currently held by Jaromir Jagr (135). Ovechkin has recorded seven or more game-winning goals each of the last five years, so he should be more than capable of chasing down Jagr and grabbing yet another goal-scoring record. 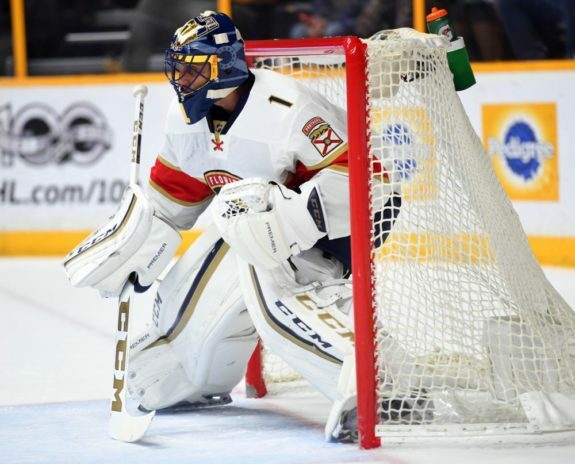 Roberto Luongo’s age and injury history (including a new injury that could keep him out a month) cloud what would otherwise be a slam-dunk achievement. Luongo currently sits just 1,598 saves shy of Martin Brodeur’s all time mark of 28,928. In every healthy season of his career, Luongo has turned away well over 1,000 shots, meaning he would only need to play a healthy season and a half to catch Marty. But Luongo is now 39, and his base salary becomes very low after this season. There may not be incentive for the former fourth overall pick to continue playing and brave aging and injury. If he does, though, and he plays consistently, he should break Brodeur’s record, which would be a testament to his endurance and longevity. Whereas Wayne Gretzky is the unparalleled great in scoring categories, Scotty Bowman is the unsurpassable legend behind the bench. His 1,244 wins as a head coach will probably never be touched, nor will his nine Stanley Cup victories. But Joel Quenneville has a chance to knock Bowman off the top of the mountain in all-time games coached. Quenneville is probably the greatest coach of the modern era (with Ken Hitchcock being his only competition), and entering his 22nd season with his third team, he still stands an incredible 541 games short of Scotty Bowman. 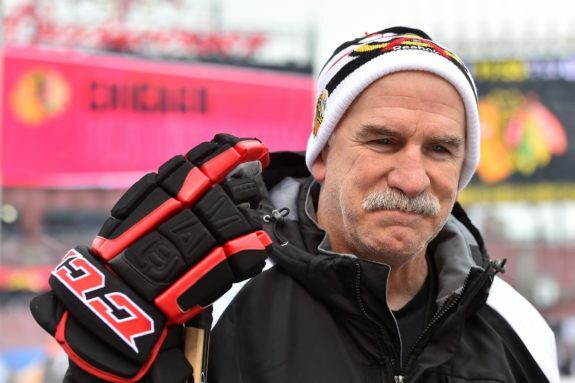 But coaching isn’t necessarily a young man’s game, and Quenneville will have a job somewhere as long as he wants it. Barring a lockout-shortened season, the moustachioed Blackhawks coach could surpass Bowman in six and a half seasons, which will put him at just 66 years of age. This record is entirely dependent on what Quenneville wants from his career. If he plans to coach for many years to come, then the record will be his in time. 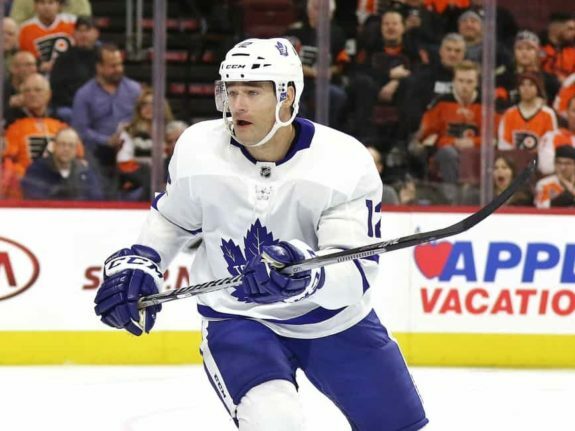 Patrick Marleau has a chance to play in more NHL games than any other player ever has. While helped by the 82-game season (just as Quenneville would be), this would be a truly remarkable accomplishment, and it is very much in reach for the Toronto winger. Marleau currently sits just 189 games short of the all-time mark held by the legendary “Mr. Hockey,” Gordie Howe. Marleau currently has the second-longest active iron-man streak in the NHL at 709 (though those streaks can be broken in unexpected ways), and has this year and next left on his contract. He would need to average just 63 games per season for three more seasons to break catch Howe, and given that he hasn’t missed a single game since 2008-09, that’s a very reasonable prediction. As with Quenneville, this record only needs Marleau’s ambition to make it a reality. If he signs a one-year deal after his current contract ends, he will likely become the game’s most experienced player ever. In a sport as physical as professional hockey is, this is a genuinely incredible achievement, and if he makes it, Marleau should be celebrated around the league as a true legend of the sport. Some of these records may not seem as significant as many of those that Gretzky holds, but we should not write them off. Records help us gain perspective and connect us to the game’s past. While some of these records are a byproduct of changing rules (an 82-game season, for example) they should not be ignored. An incredible mixture of skill, commitment, endurance, and a little bit of luck is needed to break any career record. These are some of the game’s greatest players, and if they break these records, we should pause to consider what an incredible accomplishment it is.